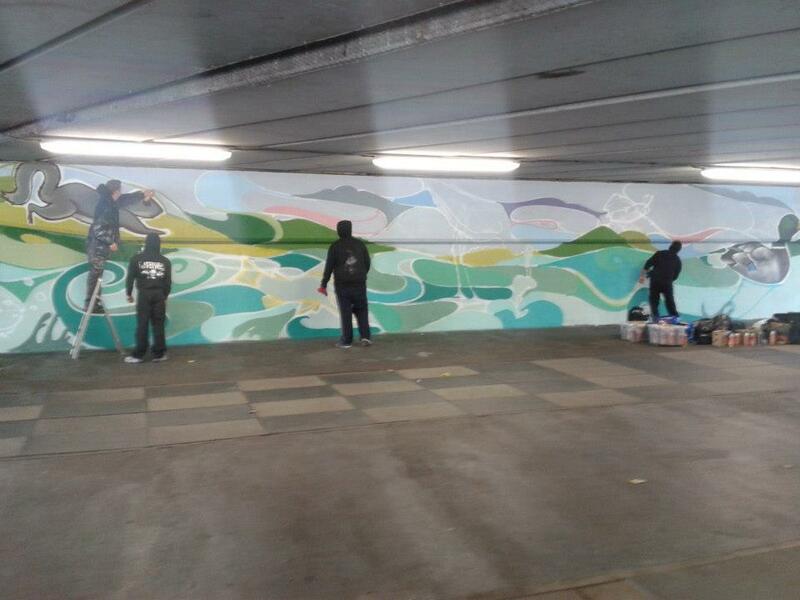 Confusion reigns between Taberner House and the Croydon Conference Centre over who really is paying the £10,000 bill for a bit of mural painting on a previously neglected pedestrian underpass at the Jubilee Bridge urban motorway which separates Waddon from Croydon Old Town. Yesterday, when we asked what the bill was for this work, the Ministry of Truth – Croydon Council’s press office – directed us to a website for Croydon Old Town, where the cost for mural painting was revealed as being a shudderingly steep £10,000. 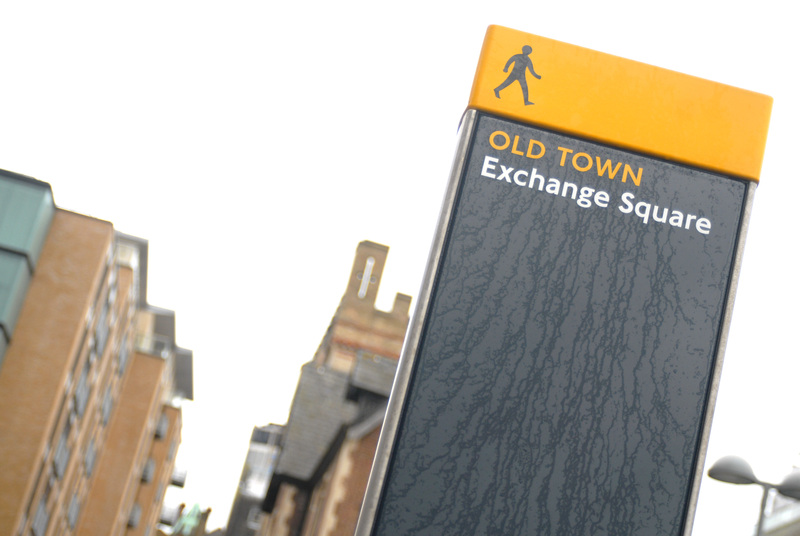 At a time of cut-backs in spending on many other, often more practical projects that might help local residents and businesses, Inside Croydon questioned whether this £10,000 art work was the best use of public money – the cash seeming to have been sourced from the Portas Project fund. Remember: “invested”. And “This is private money, not public”. For the uninitiated, COBA is the Croydon Old Town Business Association. So Croydon Council was suggesting that some of the “hard-pressed” businesses that are members of COBA had forked out five grand towards the painting. Really? Well, the real answer is no, they’re not. When we checked with COBA directly, they revealed that the £5,000 contribution was in fact from riot recovery funds. “COBA like West Croydon and South Croydon recieved [sic] a one off payment from the Riot Recovery fund,” they said. So that is public money then, and not private money as claimed by Croydon’s press office. Unfortunately, “leading directly into the bid area” suggests that the underpass is not within the area that was granted the public funds. So £5,000 from the Portas grant has been spent outside the qualified area. It will be interesting to see whether Whitehall takes a lenient view of this re-direction of Portas cash (intended to help revitalise high streets, rather than decorate subterranean tunnels), or how the truly hard-pressed businesses on London Road, many of whom have not yet received a single penny of riot recovery cash, view this use of such money. Today, it appears that Paul Collins, the secretary of COBA who runs the Croydon “Conference Centre”, has revised the Old Town website to reflect the different reality that his organisation and the council hopes people might believe. As Inside Croydon has reported in the past, a hefty £30,000 chunk of the Portas grant was quickly allocated to pay for the running of the Town Team committee, and possible appointment of an outsourced market manager. But it does seem that the Town Team/COBA/Croydon Council and their favoured PR spinners, White Label (who seem to be behind much of the Old Town “Quarter” efforts, and all for a contract from the council of an estimated £150,000 of public money) do bow to public pressure. Or at least respond to criticism that has appeared in Inside Croydon. As “initial estmates” go, it is increasingly looking as if that 30 grand allocated to the spending of £100,000 was just a figure that someone plucked from the air, perhaps somewhat hopefully. So by our arithmetic, as a result of Inside Croydon highlighting the original plans, that means that there is now £80,000 of the Portas fund yet to be allocated. We hope that we will see that it is well-spent, though we understand that it has been earmarked for some sort of Christmas Fayre and for a food court just outside Matthews Yard. Hopefully something is done, with a little more urgency, that actually helps the long-established traders on Surrey Street and Church Street before many more of their shops or stalls are forced to close for a final time. This entry was posted in Art, Business, Croydon 8/8, Croydon Council, Environment, Surrey Street, Waddon and tagged Croydon, Croydon Council, London, London Borough of Croydon, Mary Portas, Surrey Street, Surrey Street Market, Taberner House. Bookmark the permalink. You’re doing a great job holding these people’s feet to the fire, but let’s not forget they’ve still blown £10,000 on a daub in an underpass which was, you say, mostly done by volunteers. Does that mean somebody pocketed some very easy money? On the wider question of the Portas cash, shouldn’t we face reality and admit that there is no future for a lot of our secondary shopping areas – including the likes of Church Street and Surrey Street? As I keep telling anyone who will listen, we have changed our shopping habits fundamentally in the past few decades. Andrew Pelling’s excellent ‘decline and fall of Allders’ on this website charts that change in Croydon through the development of Whitgift and Centrale shopping centres and the rise of edge-of-town retail on Thornton Road and Purley Way. Add the popularity of large stand-alone supermarkets and the growth of internet sales and you have a recipe for avoiding traditional shopping streets completely. The present slump is accelerating closure of smaller firms and the August 2011 riots didn’t help, but the decline has been going on for years, in good times as well as bad. Any attempt to change the consequences of our actions with some government PR initiative will make no discernible difference. I can’t agree that Surrey Street has no future. Considering that people can buy fresh fruit and vegetables there for far less than supermarkets often charge, in a period when many of us are short of money, I’d hope that raising awareness of what it offers so close to the town centre could make it considerably more prosperous. That doesn’t mean that I’m endorsing the tunnel expenditure, though.